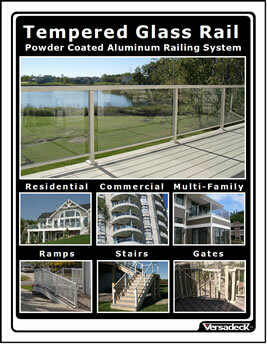 Aluminum Railing Systems - Maintenance Free Deck Railings. 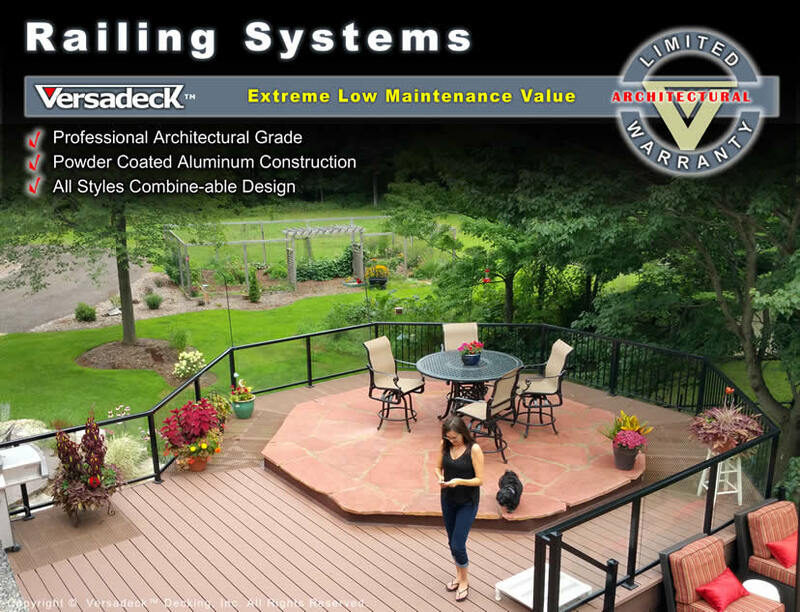 Versadeck Aluminum railings for lasting beauty plus extreme low maintenance value. 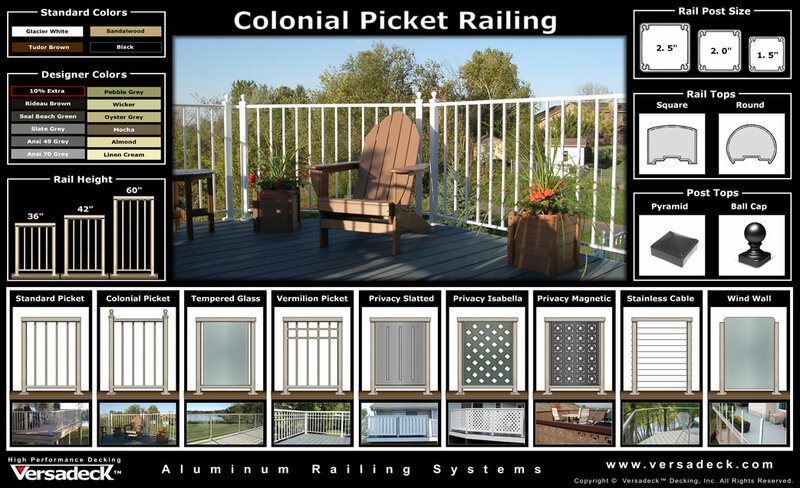 9 combine-able deck rail designs for residential or commercial outdoor decks. 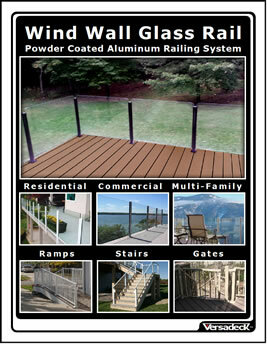 Choose from a variety of powder coated aluminum deck railing designs to create the perfect look to compliment the extreme low maintenance value of Versadeck Decking Rails. 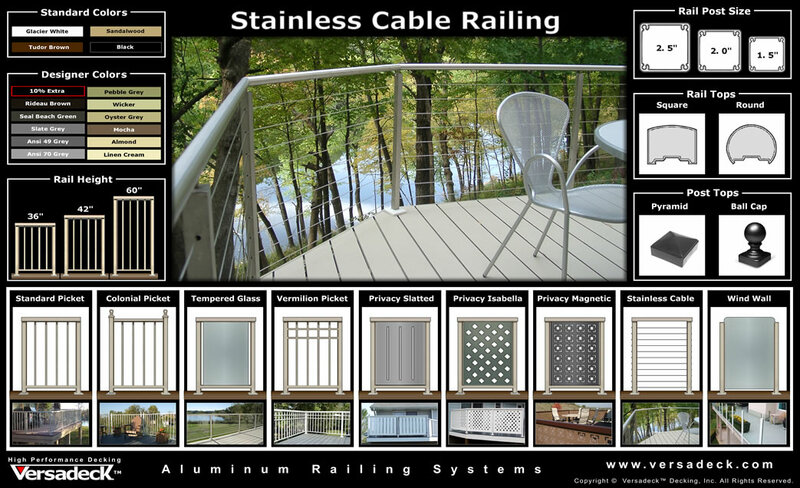 Choose from nine designer aluminum railing styles available in a variety of colors; Tempered Glass, Pickets, Colonial, Vermilion, Wind Wall and Stainless Steel Cable railing. 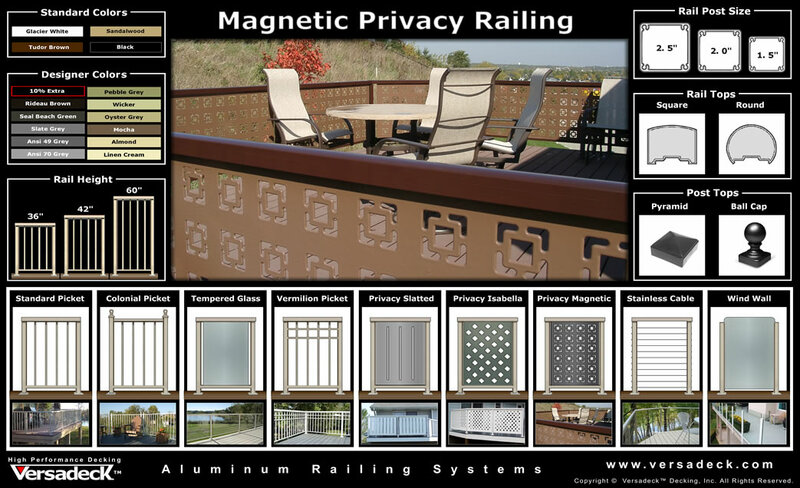 Choose from three unique maintenance free privacy rail options; Magnetic, Isabella and Slatted. Choose from three rail heights to better fit your needs or building code requirements. 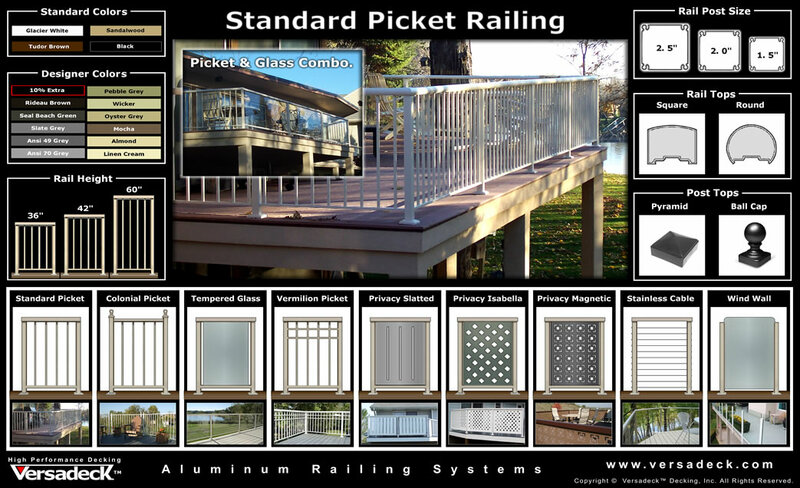 All of our railing designs meet or exceed most residential and commercial design requirements as follows: A four inch sphere cannot pass through, meets IBC code load requirements with 50 pounds plf (per lineal foot) applied at the top of the guard and a 200 lb concentrated load at any point. 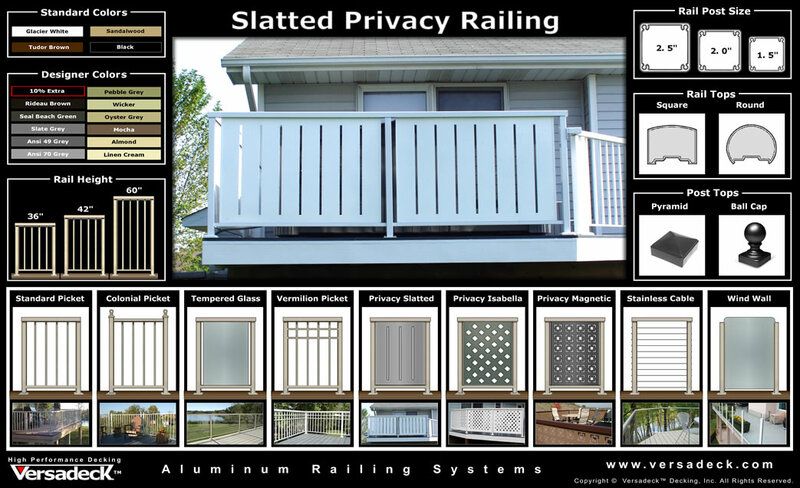 Versadeck Aluminum railing top profile come standard with square or round top options. 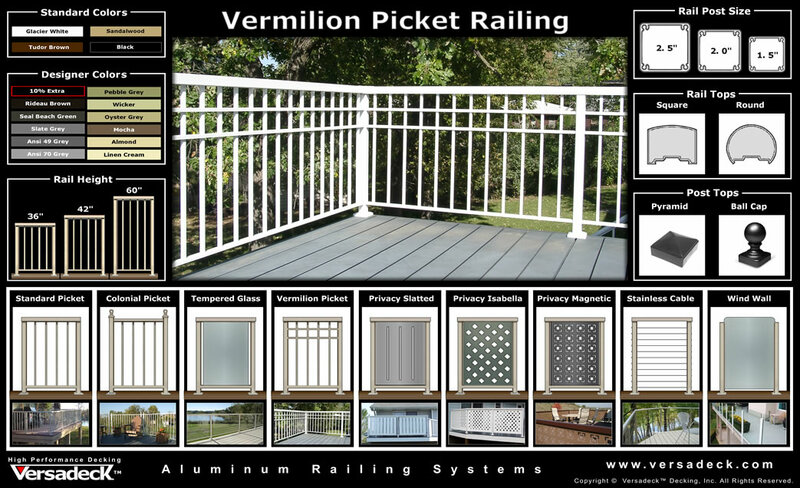 Versadeck Aluminum railings come standard with 2 in. intermediate and corner posts with 2.5 in. posts used on the end posts for added strength. 1.5 in. posts are available to maximize views more commonly used for the intermediate posts on the cable rail system. Post caps come standard on some end posts, stair top posts and the stair bottom railing posts. Add post tops to some or all intermediate posts to your preference. 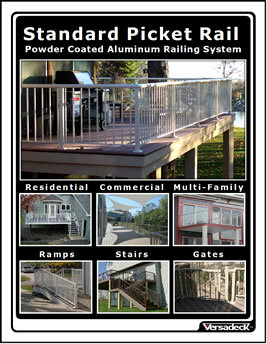 Pyramid aluminum railing post top caps or ball cap are standard design options. 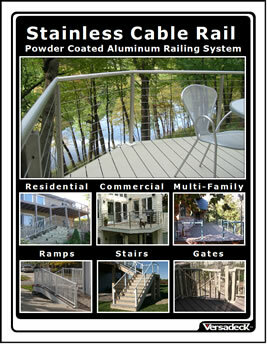 Versadeck railing products are constructed from high grade aluminum alloys providing a lifetime of performance. Aluminum is rigged yet light making installation easier and enjoyable. 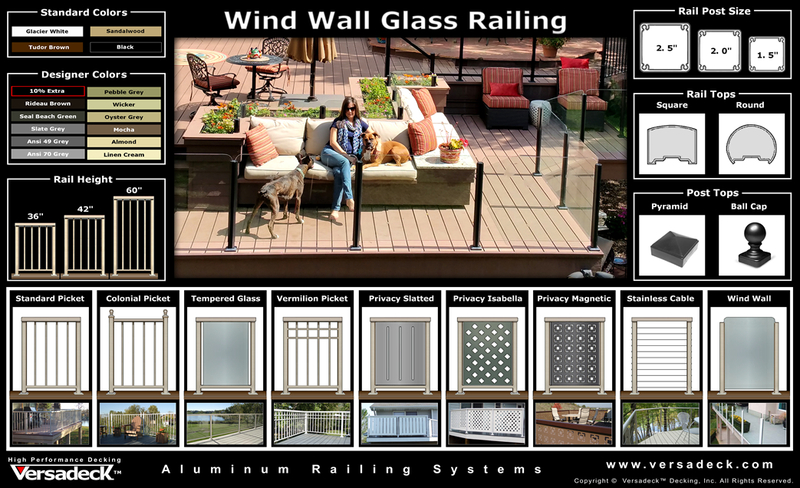 Aluminum won't warp, crack, split, twist, splinter, mold or mildew and the worry of rusting is eliminated so you can spend time enjoying your deck, not maintaining it. 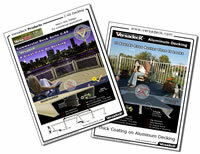 Versadeck railing products are finished with a polyester powder coating. Powder coating is an extremely durable finishing process. Particles of pigment and resin are electrostatically charged and sprayed on the part. The parts are electrostatically grounded so the charged powder particles project at the parts and adhere until melted and fused into a durable, uniform coating. The following four colors can usually blend in with most color schemes. 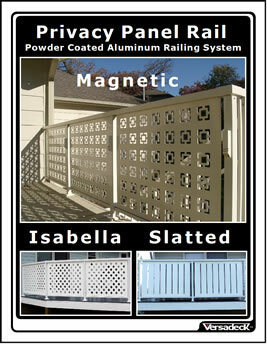 Standard railing prices include these colors as options. Lead time is generally less when you choose one of the following 4 colors. 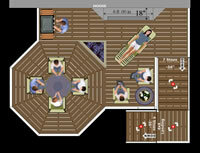 Choose from 11 additional colors to create a unique custom designer look or virtually match most colors schemes. 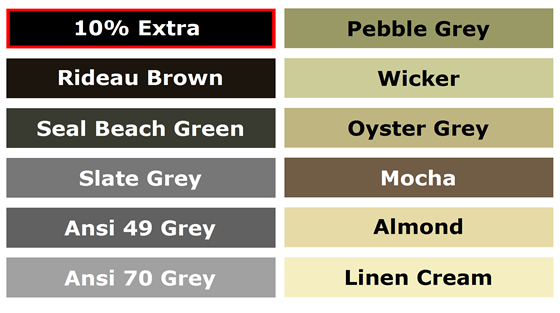 The following colors are available as special orders at a premium price and lead times are usually longer. *1)The longest rail we can make without a splice is 19'. We then build a splice in and send two sections that fit together. *2) In some cases we can send a rail longer so the end post can be removed, field cut and reattached. 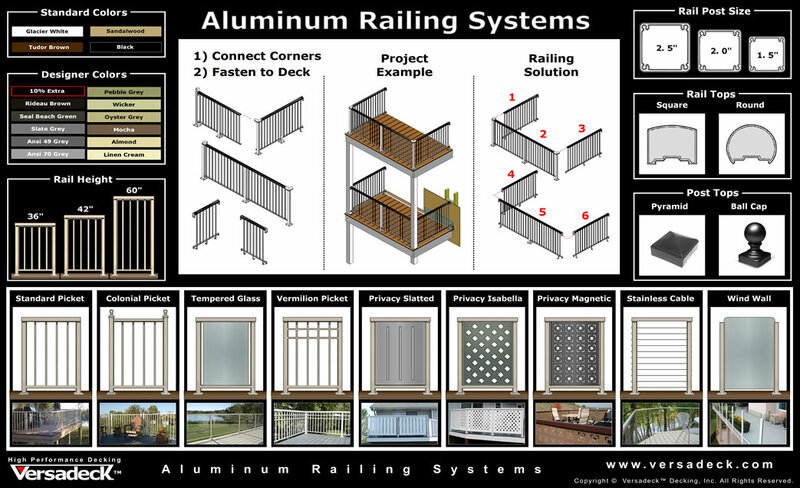 *3) Advanced installers can request rails to not be pre-fabrecated when site conditions require field assembly. *4) Stair railing do not come fully fabricated as they need to be field cut and assembled on site to conform to stair angle and design. 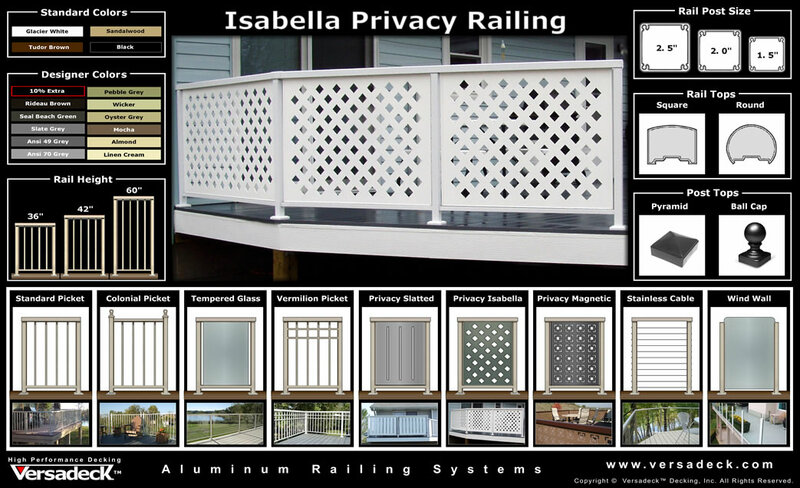 *5) Powder Coated Railing Colors shown on this page may not clearly represent the actual rail color. 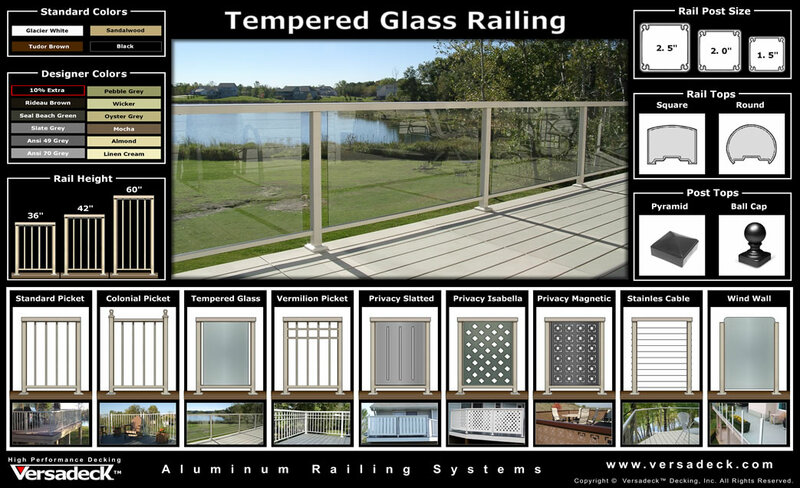 *6) Glass railing and the pricacy railing do not ship in full sections. The panels are packed separatly and easily asssembled on site. Computer monitors display colors differently. Request railing color samples for a closer representation.